Let's face it: the internet is here to stay. Most of us turn to Google to find a good Italian restaurant, get answers to questions or to find where a local church gathers. Having a good website will help believers looking for fellowship to find you. Websites are a great communication tool - if you have one and if you can quickly and easily update it. Weebly is truly one of the easiest, most affordable options on the market today. Weebly is an easy website creator with dozens of templates and features that you'd expect to pay the big bucks for. It has drag-and-drop simplicity for those who just want the basics or customizable HTML options for pros who know what they're doing. Another reason why Weebly is an excellent choice for making affordable church websites is for convenience. You can register a domain name, host and design your church website all through Weebly for seamless convenience. Or if you prefer to shop for great deals, you can register and host wherever then have your host point to Weebly to make your website appear. Personally, I use BlueHost to register and host domains, but Weebly is my one and only website design program. People go online everyday looking for answers to spiritual questions. Are you a gifted teacher who can share biblical answers? Build your own Weebly website and teach! Write, embed video or audio recordings, images, PDF files, photo slide shows, whatever. Use this easy website creator to reach souls! Want to expand your presence online? 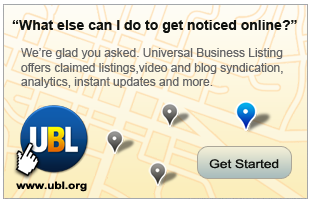 Consider using a listing service that will help get you noticed. UBL.org might be a wise investment. Let them do the tedious work so you can stay focused on what you're good at. Good websites don't have to be expensive or difficult to make. Weebly is an easy website creator that works for churches, businesses or to build your own personal brand.